New is good, because the old was bad. That describes the Bills secondary, which has emerged as a strength of the team through the first three games. That’s what Sean McDermott and Brandon Beane did. They let Stephon Gilmore exit as a free agent, traded Ron Darby and released Aaron Williams & Corey Graham. They knew that this group was either too old, too slow, not worth the money or not a good scheme fit. So in come Micah Hyde & Jordan Poyer as free agents, Tre’Davious White as the team’s #1 draft pick, and E.J. Gaines in the Sammy Watkins trade. The first thing to understand is that McDermott’s zone-heavy pass coverage scheme doesn’t require a man-to-man, shutdown cornerback like Gilmore. While good corners are valuable, the Bills scheme asks for a different skill set and provides more coverage help. So far, each of the new starters has shined. 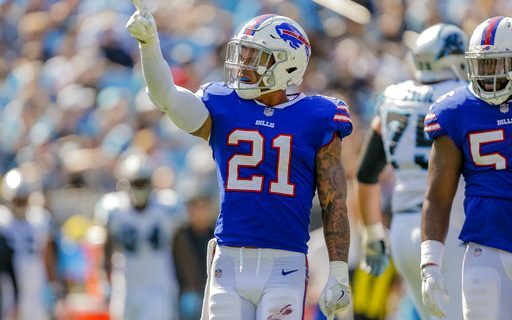 Poyer has been one of the NFL’s best safeties, and he’s tied for team lead in sacks and interceptions. Hyde has been the same steady player he was in Green Bay. White has had his rookie moments, but his second half of the Broncos game showed everyone why he was a top draft pick. Gaines, a perfect mix of zone ability and toughness, had his breakout Buffalo game this past Sunday. Each of the group has an intereception, and White leads the NFL with 7 passes defended. The Bills have not allowed touchdown pass this season. While all of that success is impressive, the Bills secondary will get a real test Sunday from Matt Ryan, Julio Jones and the Falcons. Poyer knows what the Bills have to do. The lesson to be learned is don’t always assume that change is bad. In the ever-changing world of the NFL, the Bills secondary is a shining example of how change is good. For more from Paul Peck on the Bills and WNY sports, visit his authors page at Buffalo Sports Page.